Electa Live is Virtual Classroom Software and a Learning Management System for Online Courses and Live Online Classes. Teach and train in a virtual classroom - anyone, anywhere. 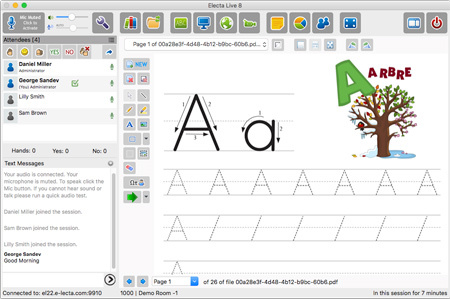 Electa Live is a Learning Management System with an integrated Virtual Classroom Software - a platform designed for online teaching and training over the Internet. 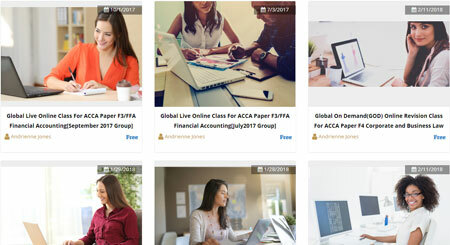 With Electa Live you can create online courses and tutorials, arrange live online classes, online lectures, online meetings, group live classes, individual one–on–one tutoring sessions. 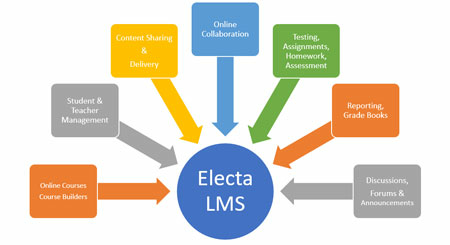 With Electa LMS trainers and schools deliver educational courses or training programs to students. A rich set of LMS elements allow administration, documentation, tracking, evaluation and reporting. 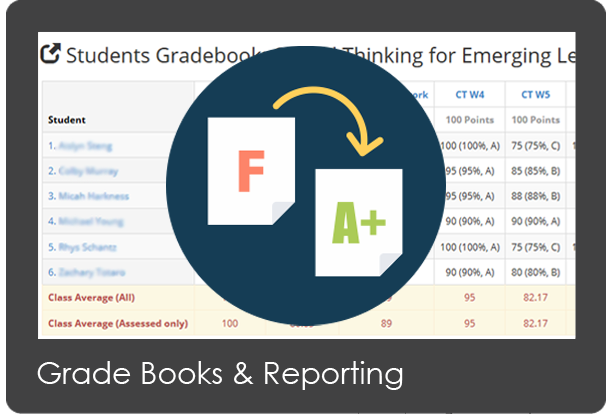 Instructors can administer tests and other assignments, track student progress, and manage record-keeping. 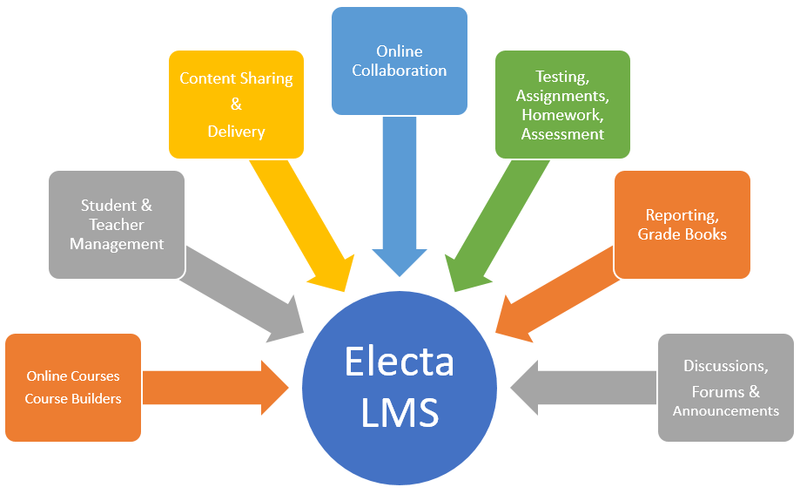 With Electa LMS schools can deliver all forms of learning – online, blended, synchronous and asynchronous. Electa Live virtual classroom software is an integral part of the Learning Management System. It is a state-of-the-art live online training classroom that with live video, crystal clear audio, multiple interactive whiteboards, markup and annotation tools, file and document sharing, screen sharing and many other collaboration tools. Teaching in an Electa Live virtual classroom provides ultimate experience for both trainer and trainees. Mobile Learning is just natural with Electa Virtual Classroom as we support all popular mobile devices. You can have students attending live classes and online courses using tablets and phones along with students and teachers using computers and laptops at the same time. Your experience with Electa Live LMS and VCR is powered by a rich set of learning and online training tools. Online courses, live virtual classes, homework, assignments, grade books, libraries - Everything you need is just available for you when you need it. Have unlimited student profiles. Arrange students into groups to best match your school structure. Give individual or group access permissions to courses and resources. 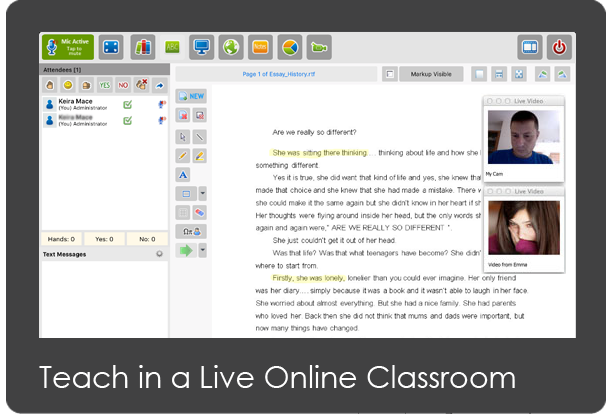 The live virtual classroom is a tool to hold synchronous live classes and online meetings with your students. Live audio & video, whiteboards, screen sharing and a lot more tools are available in your live classes. Arrange your learning content into libraries. Arrange resources into groups to create a complex structure that can be used to build your online courses. Record your virtual classroom sessions. Give playback access to your students or sell them to students and learners as part of your online courses. Further engage students with online discussions and forums. 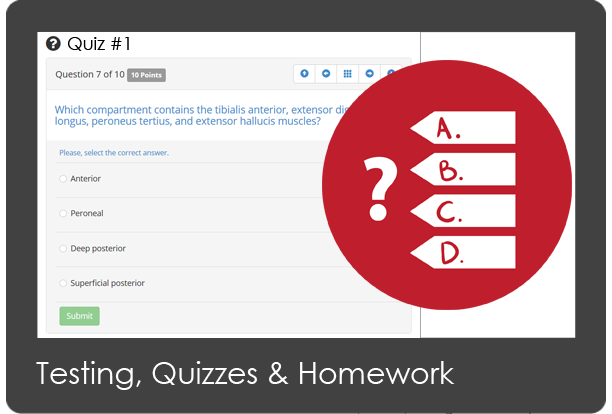 Create unlimited discussion groups for each course or topic. Enable self-help and support for your students. Easily integrate Electa Virtual Classroom with any existing website or learning management system. Use our open API to enable single sign-on right from your students' portal. We are currently providing our virtual classroom services to over 1 000 000 teachers worldwide who are working for online schools, universities, training organizations or on their own. Electa Virtual Classroom is a pioneer in the online teaching software, operating since 2005. Electa Learning Management System provides all online training tools in one place. We no longer need to combine different platforms in our school. We have tried multiple virtual classrooms before we found Electa Live. Easy to use, reliable with fast support when needed. Thank you for your service! Grace Wilson, Frontier Schools Ltd.
Now I have an online course builder, a live virtual classroom and an online testing tool - all in one place at a very reasonable price. This is a big jump for me. Become a part of our growing customer family. 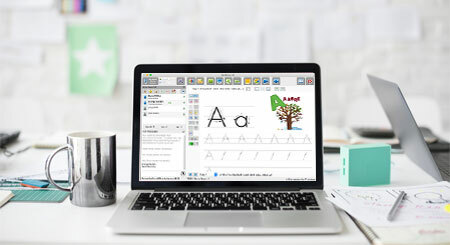 Give your students and customers a first-class experience with our professional virtual classroom and online training software, designed especially for the education industry. How is Electa Virtual Classroom Different? Electa Virtual Classroom offers a complete turn-key solution for both synchronous and asynchronous learning. Our virtual classroom integrates both online collaboration tools and a learning management system. A solid background infrastructure spread across US and Europe provides zero downtime and the highest quality of communication. Users, no matter where they are, participate with no difficulties and no technical issues. 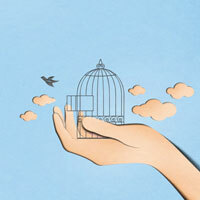 Vendors offering free virtual classroom software usually share your students' contacts with other customers as a part of their student connection pools. 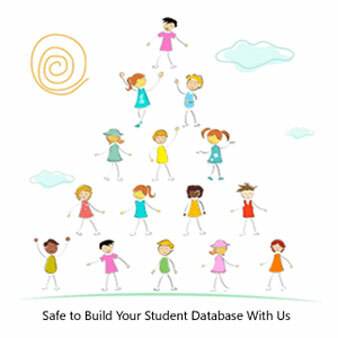 Electa Virtual Classroom does not use shared student databases. No Lock-In. No Long Terms. With our Virtual Classroom Software plans you are not required to sign a long-term contract. You can choose even short one-month subscription and cancel after that. Stay with us not because you have to but because you want to. Most live virtual classroom software and training solutions can only be used as standalone services. Some training organizations and online schools, however, already have native platforms for live classes and online training. This is where we can also help. Electa virtual classroom can be fully integrated with any existing learning management system or online classes portal. We provide an open and universal integration API to enable single sign-on and live online classes right from your website. Our integration code widgets, modules and API are free to use. 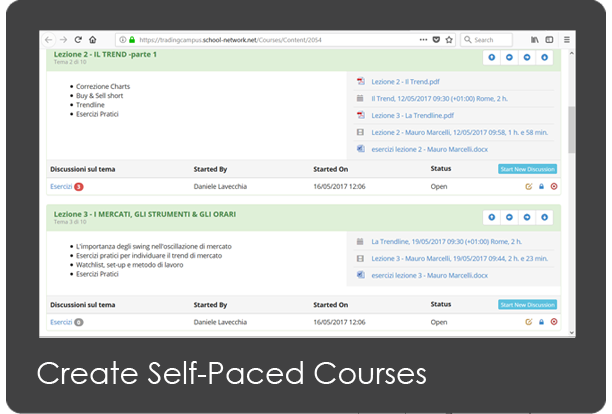 We have special easy to install activity modules for Moodle though which you can enable live classes right from your Moodle web courses. 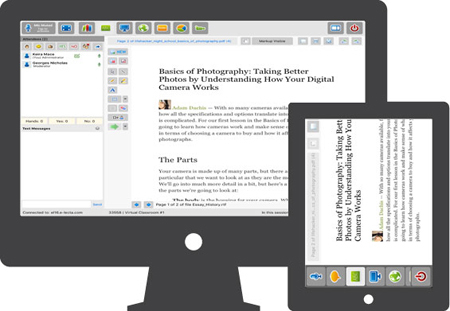 This turns your Electa virtual classroom into a Moodle Virtual Classroom tool. For all other websites you can use our copy/paste sign on code or publish live online session calendars or online course catalogs. Student registration can also happen on your website. 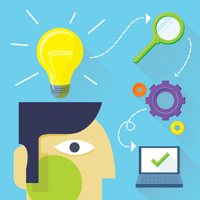 An advanced API exists for complex and seamless integration. 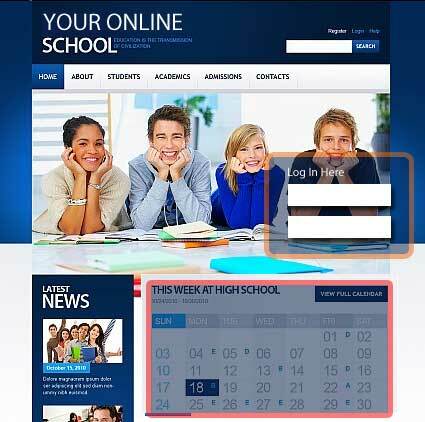 In this case the access to the virtual classroom is entirely controlled by your website. 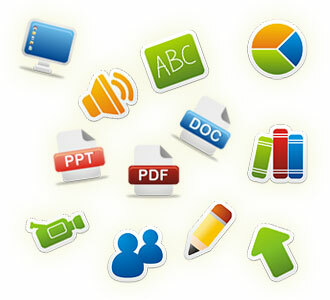 Find more about integrating the virtual classroom software. Set up your 14-day Free Electa Live Virtual Classroom Test Account. No obligation, no commitment, no credit is card required.